In many ways, the work of a software critic is easy. We risk very little and thrive on negative criticism, which is fun to read and write. But what about those who give their many hours of code development, and those who have tested such code before release? How about the many people behind the scenes who brought together packaging, documentation, multiple hours of design, marketing, online resources and more? And all of that, I might add, is open source! Free for the world to take, copy, adapt and even incorporate in full or in part into their own open development. It is in exactly that area that the team at MySQL shines once again – they have from their humble beginnings build up a colossally powerful database software that handles much of the world’s data, fast. Used in every area of life – aerospace, defense, education, finances, government, healthcare, pharma, manufacturing, media, retail, telecoms, hospitality, and finally the web – it truly is a community effort. My little contribution to this effort is first and foremost to say: well done! Well done for such an all-in-all huge endeavor. When I tested MySQL 8.0, I experienced something new: an extraordinarily clean bug report screen when I unleashed our bug hunting rats, ahem, I mean tools. This was somewhat unexpected. Usually, new releases are a fun playground even for seasoned QA engineers who look for the latest toy to break. I have a suspicion that the team at Oracle either uses newly-improved bug-finding tools or perhaps they included some of our methods and tools in their setup. In either case, it is, was and will be welcome. When the unexpected occurs, a fight or flight syndrome happens. I tend to be a fighter, so I upped the battle and managed to find about 30 bugs, with 21 bugs logged already. Quite a few of them are Sig 11’s in release builds. Signal 11 exceptions are unexpected crashes, and release builds are the exact same build you would download at dev.mysql.com. The debug build also had a number of issues, but less than expected, leading me to the conclusions drawn above. Since Oracle engineers marked many of the issues logged as security bugs, I didn’t list them here. I’ll give Oracle some time to fix them, but I might add them later. In summary, my personal recommendation is this: unless you are a funky new web company thriving on the latest technology, give Oracle the opportunity to make a few small point bugfix releases before adapting MySQL 8.0 GA. After that, providing upgrade prerequisites are matched, and that your software application is compatible, go for it and upgrade. 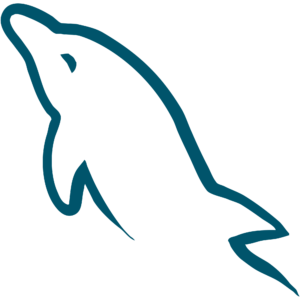 Before that, this is a great time to start checking out the latest and greatest that MySQL 8.0 GA has to offer! All in all, I like what I saw, and I expect MySQL 8.0 GA to have a bright future. Signed, a seasoned software critic. MySQL 8.0 has a lot to offer, including NoSQL support, histogram statistics and significant improvements in performance for various workloads (e.g. Read/Write, high contention and I/O). There has never been a better time to use MySQL. That said, there is a lot to be gained by understanding the underlying factors conducive to optimal database performance and how to troubleshoot and optimize your database. Our eBook, Practical MySQL Performance Optimization, covers those topics and more and it is written by Percona Founder and CEO Peter Zaitsev and Principal Consultant Alexander Rubin. This business-case-driven guide will show you practical solutions for optimizing your MySQL database. For further insight on MySQL and what makes the platform a great choice for many businesses, read our white paper Why Choose MySQL? I liked the Anton Ego reference, nicely put article. Well said ! I particularly like the “well done” part. I also agree with Abbas in “nicely put article”. Thank you Roel for your comments that are always valuable for us.